D-Day 75th Anniversary Tour: Please note that this tour is full! Book this Dordogne tour to visit the Dordogne region in Southwest France. Based in Sarlat, your Dordogne tour will immerse you in the wonders of this area. Sarlat is one of the most well preserved 17th Century towns in France. You will enjoy Sarlat’s bustling market day. While on your Dordogne tour, you will visit Lascaux II Cave that will take you back to the origins of art. The Dordogne tour also includes a visit to some of the most beautiful villages of the Dordogne. You will do a boat ride from La Roque Gageac on the River Dordogne where the stunning landscapes and mighty medieval fortresses stand guard along the River. Upon your arrival in Sarlat, you will get settled into your hotel. The morning will begin with breakfast at your hotel. 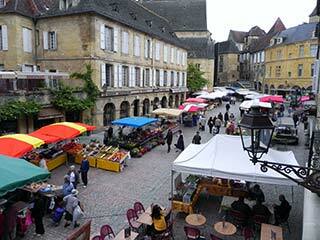 Sarlat market tour and Market visit (2 hours) – Sarlat is one of the most fascinating small towns of France. Today is market day, so follow your guide through the winding streets and stroll through the colorful stalls as he introduces you to the local delicacies. Your tour will include stops where you will taste delicious specialties of the region including duck, cheese, walnuts, and wine. In the afternoon (2 PM – 6 PM), you’ll do a visit to the Villages of the Dordogne: This half day tour is dedicated to the visit of some of the most beautiful villages that line the Dordogne River. The tour will head to the villages of Domme, Beynac and La Roque Gageac , which you will visit with your guide. 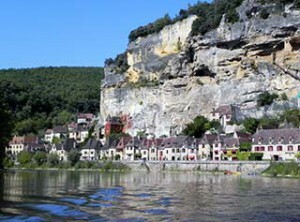 You will also enjoy a lovely & peaceful boat ride on the Dordogne River classified as a UNESCO Biosphere reserve in 2012. Your day will begin with breakfast at the hotel. Today is a trip back in history…literally! Some 15,000 years B.C. unknown painters created breath taking cave paintings of which the most extraordinary examples are found in the Dordogne area. During this day, you will visit the town of Les Eyzies and follow your guide on a commented visit of the National Prehistory Museum. The day continues to Rouffignac Cave that actually has authentic engravings dating back to the late Magdalenian period (17,000-12,000 years ago). 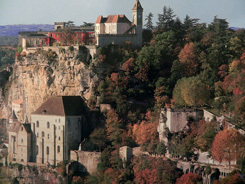 After breakfast at your hotel, you will depart for the pilgrimage and fortress village of Rocamadour. 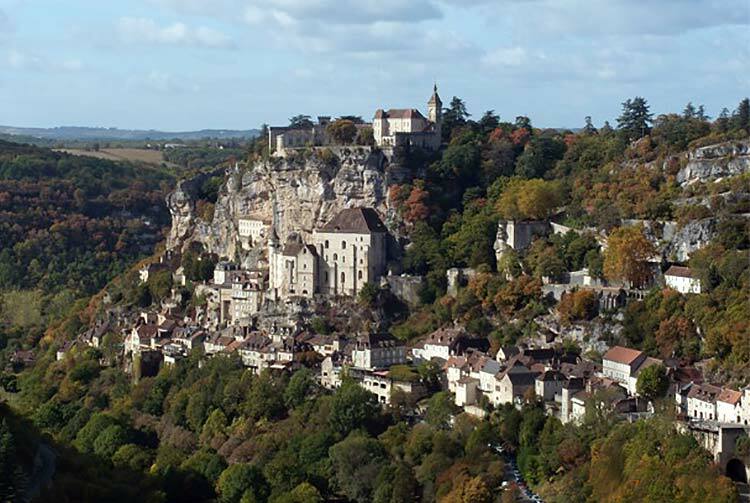 Rocamadour has attracted visitors for its setting in a gorge above a tributary of the River Dordogne. The village is renowned for its historical monuments and its sanctuary of the Blessed Virgin Mary. For centuries, the village has brought pilgrims from every country — among them kings, bishops, and nobles. With your guide, you will visit the renowned Notre Dame Chapel, part of an extraordinary 13th-century chapel complex perched on a cliff and one of the most dramatic pilgrimage sites in Europe. Enjoy some free time for personal discovery and return to Sarlat. Afternoon in Sarlat is free for you to enjoy. Enter the name of the tour you are interested in or wish to book. Please provide us with pertinent information that will help us with arranging your tour, i.e. where you are staying, etc.